And a instrumental song titled Nunca podremos deshacernos del ruido (We’ll never get rid of noise). The illustration of the cover was made by d.s.c., a friend of mine. He’s an excellent photographer, you can see his work here. I hope you enjoy the songs! 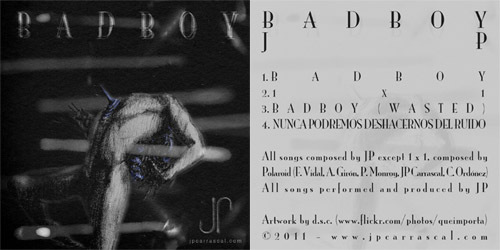 2 Responses to New EP: BadBoy!